Boston Rare Coin Dealer, BeantownCoins.com, is increasing its budget for purchasing from the public, two fold. The company already makes Beantown Coins HouseCalls in the greater Boston area, and they’re getting a tremendous response. They can now make much larger purchases per visit as well. Boston’s newest rare coin dealer, BeantownCoins.com, doubles its budget for its HouseCalls Program to buy gold coins and silver coins from the public in the greater Boston area. The company already makes Boston Rare Coin Dealer and they’re getting a tremendous response. They can now make much larger purchases per visit as well. With gold making new highs this summer, many people have decided to sell parts of their collections, and for safety, many prefer a home visit too. Few other coin dealers in the Boston area will make Boston Rare Coin Dealer as freely, as BeantownCoins.com, as the company has no retail presence. According to co-founder David Leventhal, a retail location may be in the company’s future Boston Rare Coin Dealer, but for now, the staff at Beantown can make HouseCalls exclusively. The company would like to note that coins may be sold at greater distances through a process found at BeantownCoins.com, and that select pieces of inventory will always be available for purchase online on their site. Beantown Coins regularly purchases United States and foreign gold and silver coins, and as specialists in rare US coins, the company can pay top dollar for coins of greater scarcity and quality. 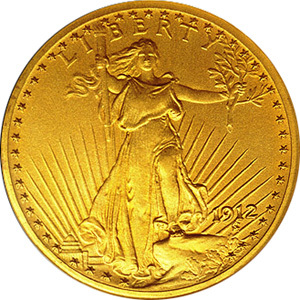 Commonly customers sell gold coins such as US Gold Liberties and Eagles, British Sovereigns, and Canadian Maple Leafs. The popular Boston Rare Coin Dealer silver sales include pre-1965 US silver currency, ranging from bullion to mint condition. These include Morgan Silver Dollars, Peace Dollars, Franklin and Walking Liberty Half Dollars, and any coins from the Barber and Standing and Seated Liberty Series. Indian Head Pennies: Grading Standards Have Fallen, But Is There A Good Reason? Scary good deals this Halloween at Beantown Coins! Beantown Coins was established in 2011 as a way to share our unique inventory and the skill of our staff with the general public. We will continue to represent the high standards of generations of merchants of our trade, and we will soon become a major presence in rare coins, online.